Crown Executive Cars have launched their new look website, with improved navigation and user ability, as well giving the site a brand new look to reflect the quality of the service they are already providing their wide customer base. Crown Executive cars have been operating within Northamptonshire and surrounding counties for over 20 years and the website has been designed with the high quality service they provide in mind. 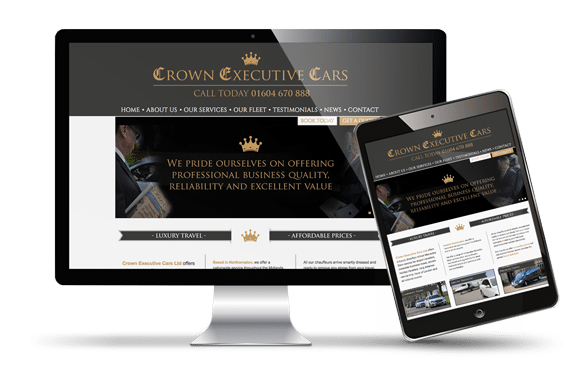 The website launches with a brand new, news section as well as simplified booking and enquiry forms to continue to provide customers with the easy to use, high quality service they have come to know and expect from Crown Executive Cars. The site will continue to evolve, so please come back to read more information and read the new updates that will continue on the website.